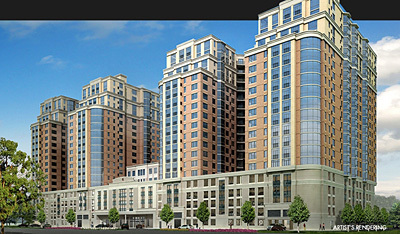 The redevelopment of a former commercial site on the edges of the New Jersey Meadows into a vanguard residential offering. Complete with open floor plans and stunning views, equinox360 provides a choice of 614 luxurious one- and two-bedroom condominiums ranging from 750 to 1,900 sq. ft. in two high-rise towers. This project also boasts a suite of world-class amenities, including “Consider It Done” concierge service, cyber café, outdoor heated pool, fitness center with yoga room, clubroom, business center, parking garage and more.